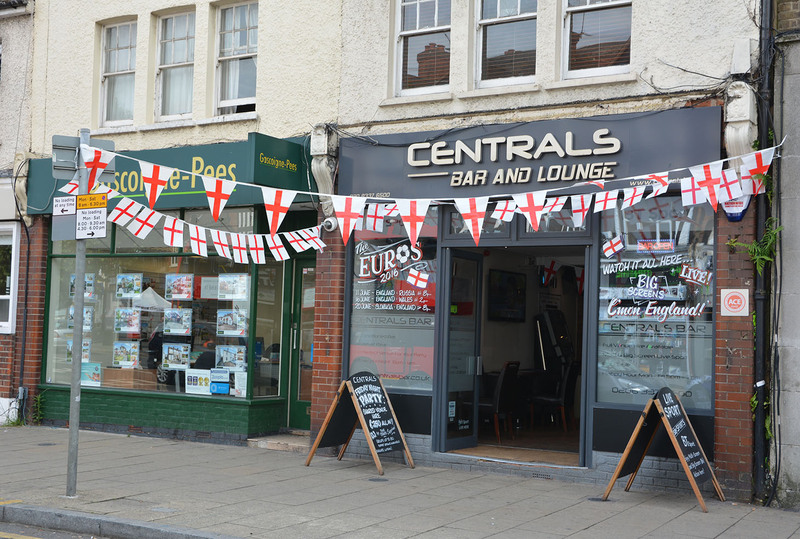 Last weekend there was a serious sense of Royal celebration around the place. 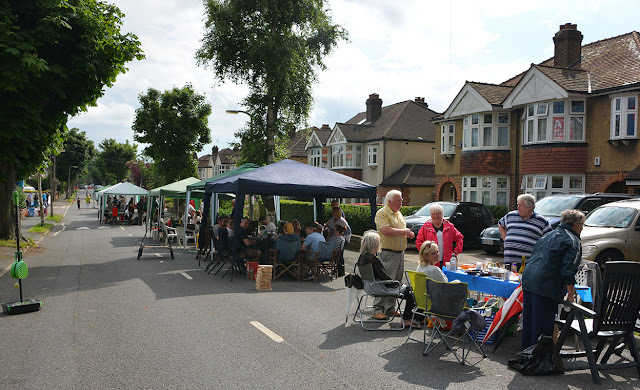 It was of course The Queens official 90th Birthday. 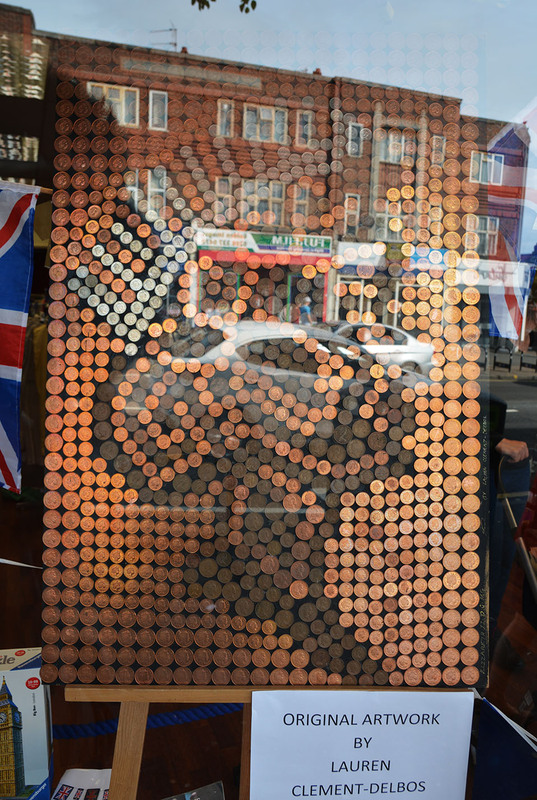 Several local shops had fitting displays in their windows including this wonderful Queen's Head of coins artwork by Lauren Clement-Delbos. 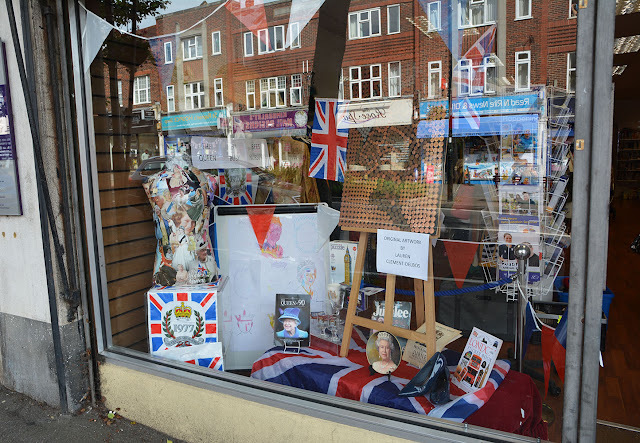 This was part of the display in the QEF shop - 'QEF' appropriately standing for the Queen Elizabeth Trust. 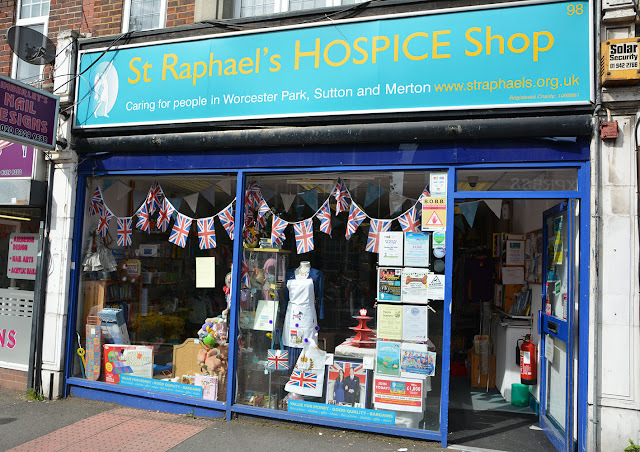 The St. Raphael's Hospice Shop also had a big Royal display as did the new Second Hand Land shop towards the top of road on the right. 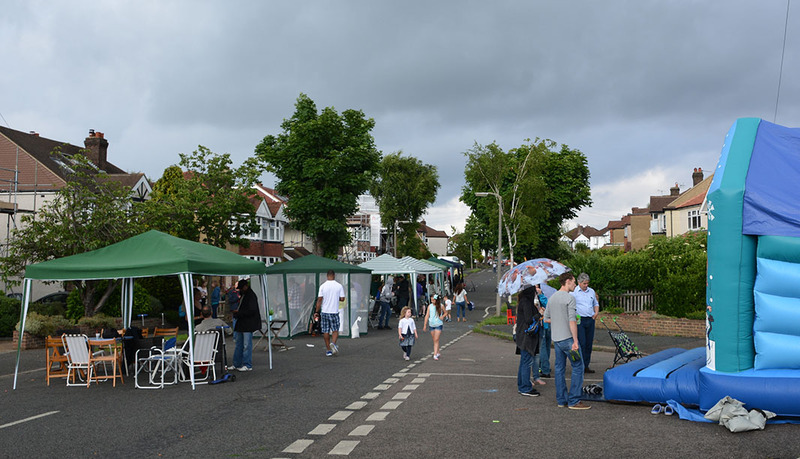 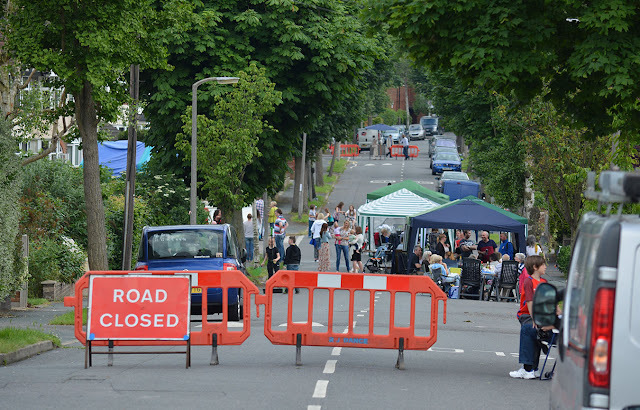 The many tents, tables and local residents enjoying the fun. 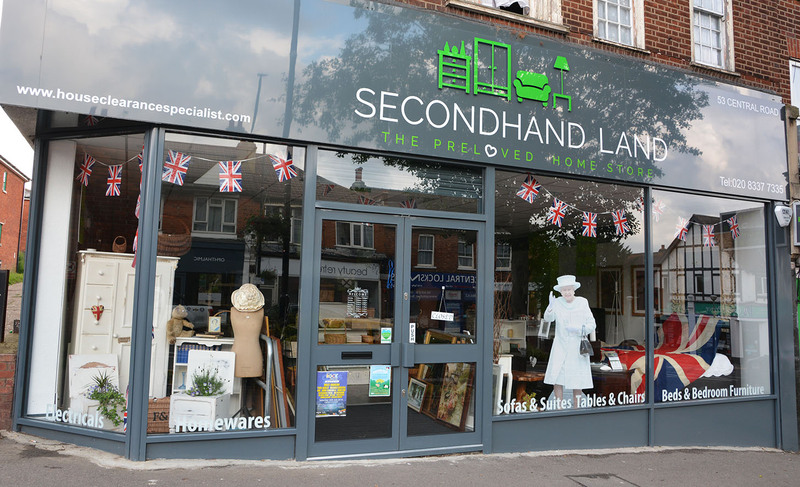 Her Majesty waves from the window in Second Hand Land. 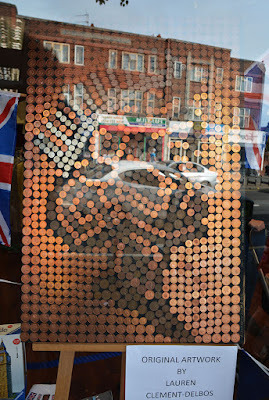 (Not sure who it was being cheered along The Mall at the time).